Born in Split, Croatia in 1978, Marko is an art and design critic, editor and curator. He graduated from the Academy of Fine Arts in Zagreb and started working as an art critic in the early 2000s. 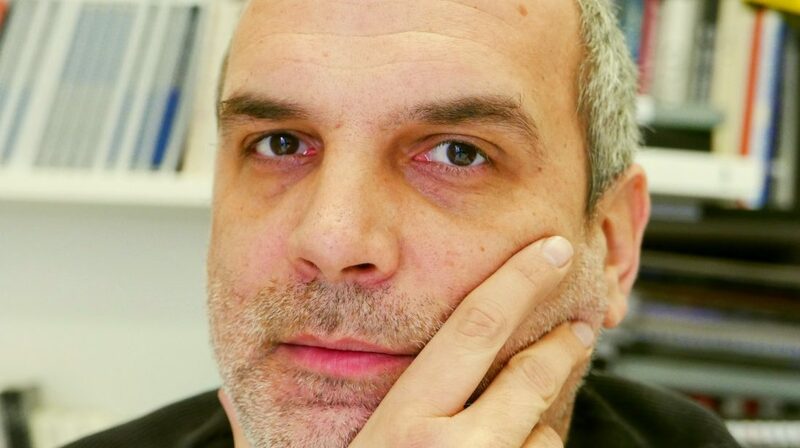 Until 2010, he was active in the editorial board of Croatian radio programmes, tv shows, and magazines as a critic and journalist on culture, architecture, and design. As of 2011, he is the director of the Croatian Designers Association Gallery (HDD galerija) in Zagreb and also the editor-in-chief of the Dizajn.hr website. He has curated many design and contemporary art exhibitions and has authored a number of books on visual art and design. He is the editor of the last four editions of the biennial catalogue publication Croatian Design Review (from 2012, 2014, 2016 and 2018), a member of the organisational team of the D-Day International Design Festival in the period 2011-2015 and the editor of all accompanying publications for that festival. From 2014 to 2016, Golub was a member of the Council for Innovative Culture and Art Practices at the Croatian Ministry of Culture. Besides the Croatian Designers Association where he is employed for the last 8 years, he is also active in other professional organisations, such as the Studies Section of the Croatian Association of Artists of Applied Arts and the Croatian Section of the International Association of Art Critics (AICA). In 2013 he was awarded the CS AICA Annual Prize for Art Criticism. From 2016 till 2018, he was the President of the Croatian Section of the International Association of Art Critics (AICA). After his mandate ended in December 2018 he remains a member of the Section’s Executive Board.